Lincoln University of Pennsylvania, formerly the Ashmun Institute, is a school rich in history and culture. While I was excited to attend the first HBCU—catch this fade if you disagree—upon first look 10 years ago, there was nothing remotely spectacular about the campus. Lincoln was extremely small and old, and it rested in the MIDDLE OF NOWHERE. There were people riding around the streets in horse-and-buggies and mushroom farms nearby, and the closest store seemed so far away. Despite the initial appearance of the campus, there were many things past the surface that made Lincoln a great school. As soon as you step foot onto Lincoln’s campus, a sense of richness falls over you. 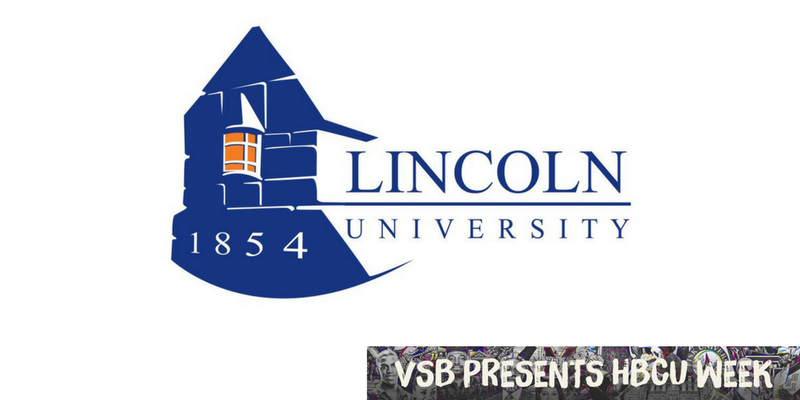 Lincoln has a dynamic history that started during a time when slavery was still prevalent. Initially started by John Miller Dickey in 1854, Ashmun Institute set out to do something that no other schools had, becoming the first degree-granting historically black college. Lincoln University was the home of many powerful men and women, and the list continues to grow. I never knew so much about myself until I attended an HBCU. Like most, I grew up learning a history that wasn’t necessarily accurate and didn’t reflect who I was. I loved that it was mandatory for all students to take a class in African-American history. Attending Lincoln, in a way, was about stripping away everything I thought I knew and reshaping my mind, spirit and soul. I finally started to understand myself as a black woman, and I was continually pushed to become a better me by faculty and peers. I don’t think I would’ve gotten that experience if I hadn’t attended an HBCU. Perhaps one of the greatest moments at Lincoln was on Nov. 4, 2008. It was the day that the first black president, Barack Obama, was elected to office. I was in the middle of one of many failed attempts at flat-ironing my hair back when I was a member of the relaxer gang. When the results were announced, it seemed as though everyone on campus stopped what they were doing, including me, and flooded the streets of Lincoln. Places that I had been to on several occasions, such as the Freddy D statue in the “U” and the tunnel, were filled with students who were ecstatic and filled with joy about the hope that having a black president would bring. We stayed out and celebrated all night, despite having classes bright and early the next day. Needless to say, I never finished flat-ironing my hair, and I didn’t care one bit. Lincoln University is also the home of some of the most amazing and inspiring people I’ve ever met in my life. In fact, that’s where I met one of my best friends. One night of chilling in the “U” after a pair of 992s initiated our first meeting turned into a lifelong friendship. It’s impossible to keep in touch with everyone when we are all busy trying to live our best lives; however, I met some of my favorite people at Lincoln University. While current students have the newer model of the school, I wouldn’t change my experience at all. Going to Lincoln University turned out to be one of the best decisions I’ve ever made. As a student, I learned so much more about myself and my abilities that I don’t think I would’ve discovered otherwise. Lincoln has continued to grow and prosper over the years, and it’s amazing to see the transformation take place. I’ve had so many laughs, tears and amazing memories at Lincoln, and I can honestly say that I believe Lincoln University is one of the best schools around. But, then again … I’m a little biased. Carla Bynum is a mother of one and lover of naps, good music and curly hair from Prince George’s County, Md. She graduated from Lincoln University with a bachelor’s degree in mass communications and is fluent in sarcasm. Carla currently writes music reviews for Black City TV and keeps people laughing on Facebook. You can find her at @iamcarlab on Twitter and Carla E. Bynum on Facebook.